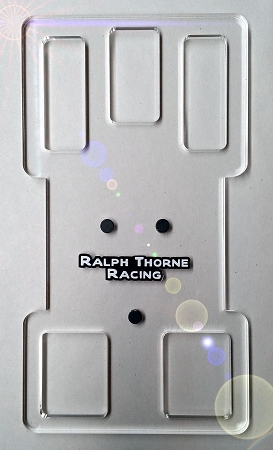 These body mounting blocks are designed to work with Retro, Wing, Hard Body, FCR and Flexi style cars with either a 4'' or 4-1/2" wheelbase. They also work great with Retro F1 cars, too. They are laser cut in house from clear acrylic.